Our company has been commissioned to provide new retail and office buildings, adaptive re-use and renovations, and site development since the early eighties. We have designed new buildings that fit a dynamic urban context within an increasingly complex web of planning ordinances and codes and infrastructure development. We have taken old deteriorating retail and office strips and updated them to the status of modern attractive buildings and centers, giving them new economic life and vitality. From complete site and development planning to restoring old structures, WLFA’s experience has become diverse and well rounded, allowing us to look at new work from many vantage points. 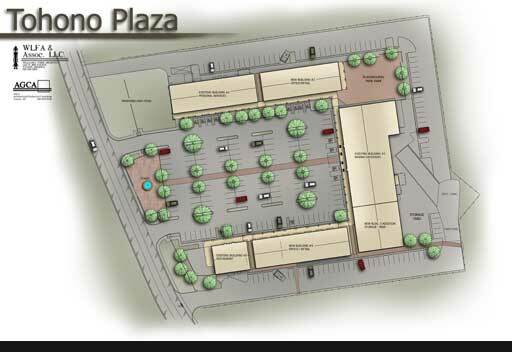 General commercial retail and development plans of many types, personal services, food service and retailing, apartments, office, healthcare, industrial, automotive and fuel service, new classrooms, and corporate buildings are among the project diversity our firm has successfully delivered in Southern Arizona.